From the archives (2012). Feed nutritionists may be patient people, but never when it comes to waiting for amino acid measurements for their next diet formulation. Rapid analysis with near infrared (NIR) offers a fast and reliable option for amino acid testing that can be just as reliable as reference analysis in the laboratory. Animal nutritionist, Dr Robert Payne of amino acid suppliers, Evonik explains. 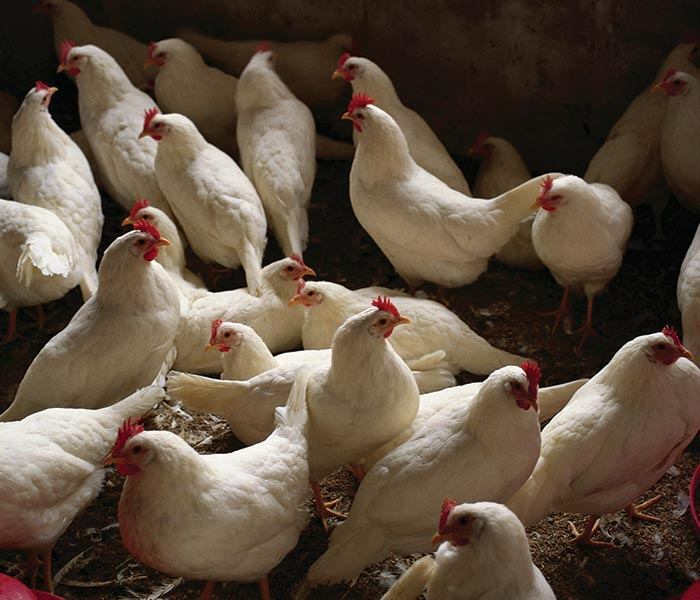 Evonik produces amino acids for feed and has over 50 years experience of analysing amino acids, routinely testing around 15,000 samples a year. While wet chemistry reference methods remain the gold standard, rapid tests with NIR are increasingly important in delivering timely results to customers to help in the creation of the best possible diets. In 1995, Evonik launched a service for testing amino acids based on NIR. Called Amino NIR, it took off and quickly expanded beyond the walls of the Evonik laboratory to include the supply of calibrations for customers’ own NIR instruments. The instruments are connected in a network with the Evonik laboratory at the hub. The network is growing constantly and now includes around 360 NIR instruments located in feed mills and analytical laboratories around the world. Payne describes how NIR instruments used for amino acid analysis need a broad spectral range, particularly in the upper range. “We point out to our customers that not all systems are suitable, even though the price of some may be attractive,” he says. “What is interesting is that some customers start getting into NIR because of the need to test amino acids, and then find out about the many other things NIR can do for them, which is a great success.” FOSS supported the service from the start with knowledge and expertise in near infrared analysis. Over 300 of the units in the network are FOSS instruments, including the FOSS 5000 and 6500 series and XDS instruments. A suitable instrument is one thing, but the even the best hardware is useless without the right calibration – ‘the backbone of NIR’, as Payne calls it. The calibration data is founded on a solid platform of reference testing at the Evonik wet chemistry laboratory, with at least 50 samples required for a calibration. “Any supplier of NIR calibrations for amino acids should be able to supply statistics showing that they are backed by good, solid wet chemistry tests,” says Payne. “Thesemust cover a wide range of sample types and origins from around the world. That way you get all the variables - the good, the bad and the ugly. The calibration is then tested against independent samples. As we see samples that don’t fit, we start to revise the calibration. Of course, we want the calibration to be as strong as possible, so this revision is an ongoing process.” Even calibrations that include samples from every corner of the world - such as the 16-year-old soybean meal calibration - can be improved, and it has become something of a sport for laboratory staff to find occasional outliers to make such calibrations stronger. The number of wet chemistry samples required for an NIR calibration varies depending on the application. For example, poultry by-products have a lot of variation and need more samples. Statistics show a very strong correlation between wet chemistry and NIR, with most amino acid tests within 2%. For certain Amino acids that are difficult to measure with wet chemistry, the variation is a little higher. While Evonik have calibrations for all essential amino acids in the majority of feedstuffs, there is still much work to be done. Just one area Evonik are looking into is a measurement for the effect of heat damage on amino acids. A simple example is the reaction of sugars with amino acids that occurs when a piece of bread is toasted. The reaction gives a nice crisp coating, but also reduces the nutrient content of the bread. The effect of heat in the feed production processes is thus of great interest to feed millers. According to Payne, there are few technical limitations when it comes to achieving even more with NIR. The main frontier lies in the all-important data collection. “In terms of limits for NIR there are virtually none, as long as you have a good calibration,” he concludes. Ready-made calibrations appear an attractive option. But is it still worth paying for them instead of doing your own reference tests? And, once you have them, how do you validate them and actually get them up and running on your instruments? We asked one of our experienced application specialists what it takes to secure a fast and successful implementation of feed calibrations. Guide takes a look at the true value of ready-made calibrations and what it takes to use them. Ever since the mid 1980’s, near infrared (NIR) analysis has helped the feed industry to improve feed quality and production economy. But while the technology has steadily become more accessible, there are still a number of considerations for any feed mill when starting out in NIR or moving on from an older system. Despite ongoing research, our understanding and definition of fibre still does not match the needs of food and feed industries. A recent FOSS conference called ‘Re-think fibre’ set out to shed more light on the complex area. With farmers looking to increase yield in dairy cattle through optimisation of nutrition, on-farm silage testing with NIR is a valuable way of checking nutrition. FOSS NIR specialists Hanne Winning and Jacob Riis Folkenberg talk about the current challenges and potential of on-farm silage testing for better management of cattle nutrition. From feed to food, industry professionals are sharing knowledge in pursuit of ever-more effective NIR analysis. And, as the technology reaches new levels of sophistication, the improvements are to be found beyond the analyser unit in areas such as sampling and networking. Should I make the move to a new NIR analysis? Near Infrared analysers are getting easier to use and run, but is it really worth investing in the new equipment and what about moving your existing calibration database to a new platform? NIR technology is improving by the day, but for companies seeking the performance benefits of new NIR instruments, what does it really take to make the move and can you take your precious NIR database with you? Two NIR users share their experience. Sorry, we were not able to send your form. Thanks for subscribing. We look forward to sending you our next newsletter.